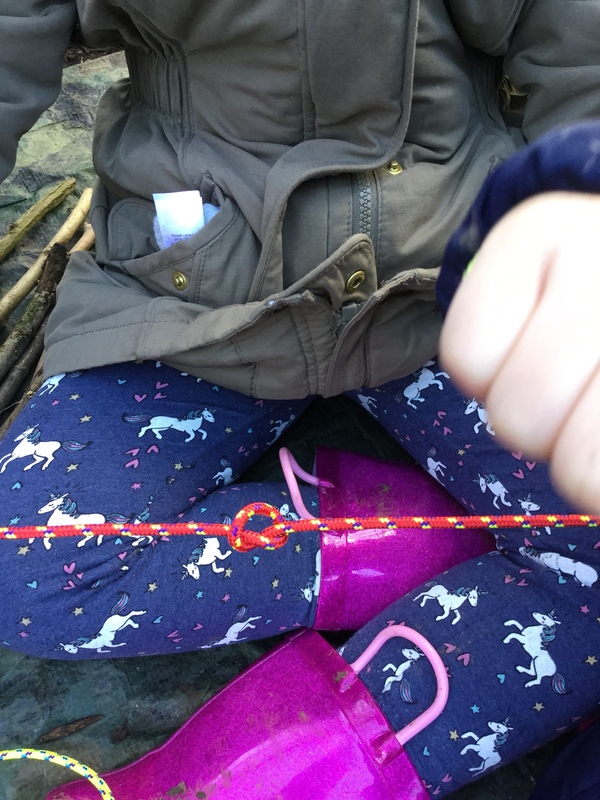 In Forest School we have been learning to tie knots. We took two pieces of rope and crossed them over to form a half knot. Crossed the ends a second time and pulled the ends tight to form a square knot. Posted February 7th, 2019 in Forest School.